Hi there, here is Tobi from the Pants. 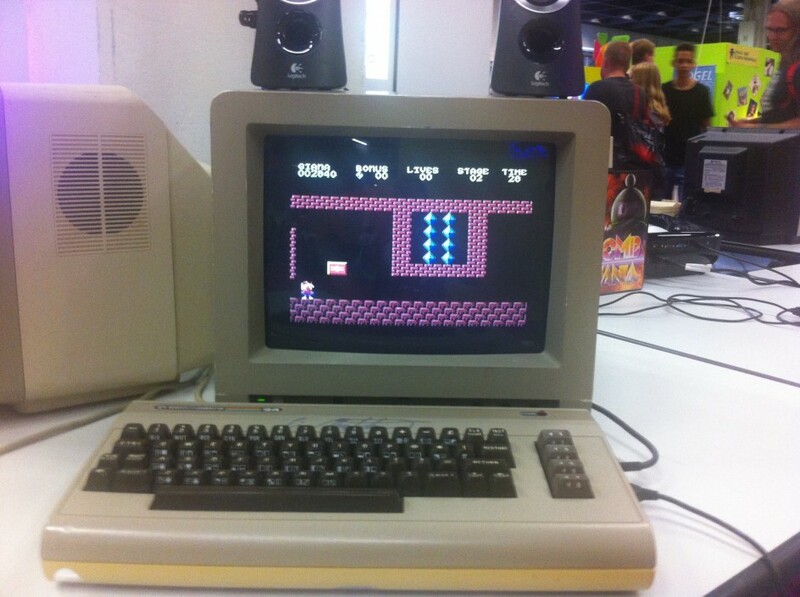 You certainly heard about Gamescom which takes place in Cologne each year, but I must confess I have never been there before. I’m not really into those big mega events normally. 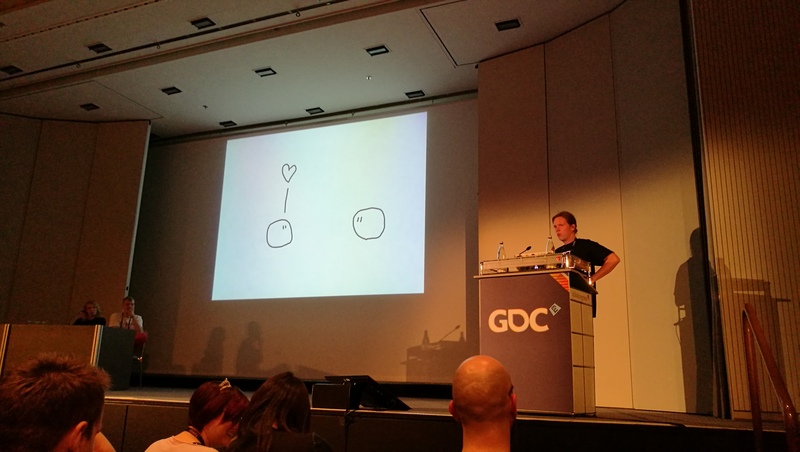 This year we were invited to talk about our game “On Rusty Trails” at GDC Europe, which took place a few days before the actual Gamescom. 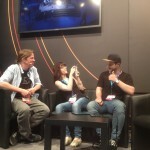 We also had some other events at Gamescom where we presented our mobile title “Blown Away”. So, Stamm and I built up a little pants-delegation and joined the event. 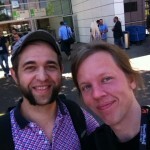 I arrived first at GDC, which is more for developers, publishers etc. 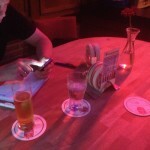 not so much about party, more talking about contracts, technologies and business. I met Lea, an old friend of mine, who was part of the organisation team for the Indietalk together with Jonatan Van Hove. They both did a really good job making the Indietalk a cool event. Thanks for that! I talked to different people at the GDC and asked them if they will stay for the Gamescom and join the masses. Nearly everybody told me to better leave before the real madness begins. Hmm…better leave? Madness begins? Fortunately Stamm arrived when I started to think about the next few days and what lays in front of us. 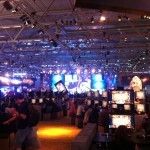 When we entered the gamescom area, and looked through the halls, filled up with cyberrobots and the usual stuff, I was overwhelmed by the size of the event. I have never seen so many soldiers, orcs, tanks, manga characters, cars and VR headsets together in one location. 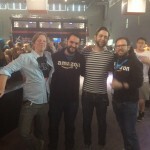 It was like a trip, going through Gamescom where it is really hard to focus on one special thing, because everybody is fighting to get your attention. It somehow remembered me of a scene in a Monty Python movie, where some crazy prophets try to get the attention of the audience. Anyway, it was really interesting. I became a big fan of the cosplay people who were wandering around everywhere. It gave me a warm feeling to see how much personal effort, energy and time those people put into their costumes, to dress up like their beloved characters. And then I became nostalgic. 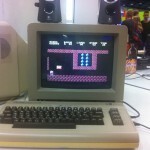 I entered the retro area. Many of those games I used to play when I started to get involved into computer games were there. 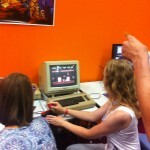 And the best thing was you could play every one of them including old c64 stuff and amiga titles. The even better thing was, you did not have to wait for hours to enjoy these “travels to the past”. So I did spend a few hours to play some of those retro-gems. I was surprised how good some of them still play. Yes of course, they don’t have those hi res graphics but when you put this fact aside, there are still games, which could be enjoyed even today. Games which have tight controls, interesting settings and an adorable soundtracks. Games which often don’t last for an epic amount of time but who are long enough to keep your attention to escape from reality for some hours. 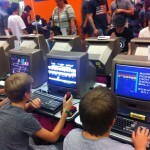 It was cool to see, that even some of the young folks enjoyed those titles and were hocked by their game mechanics. 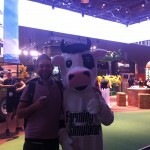 When I was back in Berlin I talked with Jones about my personal Retro-Gamescom-Highlight. We started to discuss, about how long we will be able to play those old games in the near future. The old consoles are not produced anymore, and the old input devices will not become better over time. The cartridges and floppy discs will surely not survive the next 30 years. So a big task for the future will be to somehow mange to conserve those games and make it possible to experience them as they were designed, on the original hardware. Even the titles today will have this problem, when you think about online titles like WOW. How will we be able to play them when the servers will be down in a couple of years? I hope there will be some kind of professional computer game archivists who will ensure that this part of entertainment culture will not fade a away.